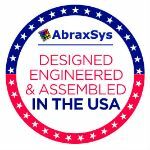 March 31, 2015 : Baton Rouge, Louisiana - AbraxSys will begin a migration path to the latest generation of optical bonding technology. This brand-new vacuum bonding (also known as “Dry Bonding”) is the substitution of the current world wide used “wet bonding” technology. This new process uses production jigs, is fully automated and therefore very stable in yield and precision. This is particularly important for smaller TFTs sizes. Liquid optical bonding technology (“wet” bonding) was introduced in late 1970’s in LCDs and has been in use for many decades. In spite of its many weaknesses, it is still the most widely used optical bonding technology. While there are many ingredients, these materials are typically purchased as a two-part thermal cured chemistry. In the case of a two-part system, the materials must be mixed thoroughly in ratios as prescribed by the manufacturer of the “wet” agents and de-aired. In addition, great care must be taken such that all air and gas, generated due to mixing or chemical interactions, are removed. All the individual raw materials or the end mixture are filtered to minimize the existence of foreign material. Furthermore, proper dispensing is a must such that air entrapment does not take place. Depending on the automation level and process used, it requires development of some level of expertise by the technicians administering the process. In general, lamination processes using liquid adhesives are known to be labor intensive with long cycle times. A considerable shrinkage may also take take place during the curing of 2-part chemicals which makes it difficult to effectively control the bond-line. 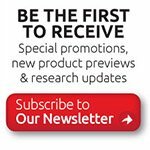 In addition, many liquid adhesives, especially silicones require a primer application to achieve adequate adhesion to many low surface energy substrates. Furthermore, the clean-up of the LCD display and tooling are essential after lamination. This can significantly increase the cycle time, equipment cost, material and solvent cost, and can also lead to further yield loss. 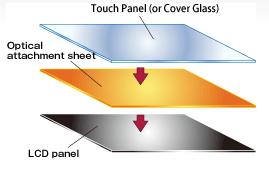 Dry Bonding is bonding of flexible substrates such as optical films to rigid LCD substrates using pressure sensitive adhesives. The process uses a tack-free sheet material that is positioned against one substrate and then mechanically assembled to a second substrate. The assembly is then placed inside a vacuum, sealed and further exposed to pressure and temperature in accordance with a prescribed recipe. 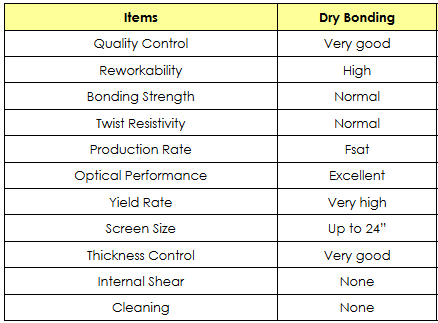 Dry optical bonding does not cause optical defects as scratches or moiré during the production process, which makes a cosmetic cleanup or additional attention superfluous. The overall process is much cleaner. The display is laminated without residuals to clean up after bonding and the tooling remains ready for re-use. There is dimensional superiority compared to liquid bonding. No need to account for shrinkage, bond-line control, or varying cure rates that can influence bond-line and internal stress. The process is “green”. No wastage of raw materials. Cleaning solvents are not required. The process is much faster with fewer steps and less equipment. Dry bonding can be completed in less than 30 minutes, whereas with “wet” bonding needs to cure after the bonding process, so typically 3 days. It is much easier to automate since the materials are solid; no mixing, de-airing or pouring; and no chance for rework due to foreign object intrusion, moiré and/or air bubbles. The process produces high yield and is also repairable, which is not the case with many liquid bonding technologies. The bonding is also more stable up to altitude over 100,000 ft (30,000+ meters). Most of the liquid bonded stacks start deteriorating just over 40,000 ft, (12,000 meters) at least temporarily. It is very easy to add additional layers of optical substrates to improve resistance to boot-kick or ballistic applications. The finished product exhibits excellent resistance to vibration/shock. The display stack of the “dry” bonded processes typically has lower deflection amplitude at resonance than those made using liquid bonding. It also has higher resonance frequency.